The four Ferrer Family Spanish wines pictured below were served with dinner, while Freixenet’s Casa Sala Cava was enjoyed after the meal. Valdubon Reserva 2009 is made in D.O. Ribera del Duero by winemaker Javier Aladro and retails for approximately $24-30 per bottle. Garbo, Mas de Subira and Morlanda are made by winemaker Judit Llop in D.O. Montsant and D.O.C. Priorat. Garbo retails for approximately $19 per bottle. Mas de Subira is made from younger vines in Priorat, while Morlanda’s average vine age is 40 years. Casa Sala Gran Reserva Brut is one of many Cavas made by Freixenet. Produced at Bodega Casa Sala, which was built in 1895, and is aged 7 years in the bottle. 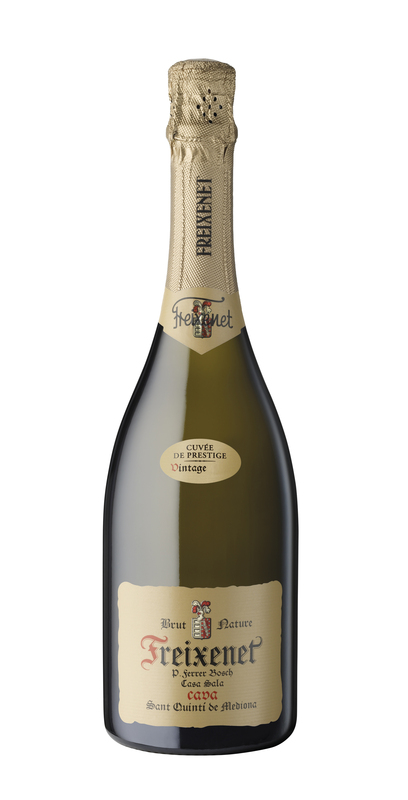 Freixenet produces more than 140 million bottles of Cava per year, all of which are individually fermented in the bottle. Casa Sala Gran Reserva Brut from Cava. Mas de Subira 2010 from Priorat. Valdubon Reserva 2009 from Ribera del Duero.